It seems that everyone is talking about the “Power of Purpose” when it comes to building a successful business these days. But what is your company purpose, and how can you utilize it to build not only the ultimate candidate experience, but also to ensure your company’s success? We talked in an earlier blog about what millennials are really looking for in a job, and with a staggering 40% of young people thinking that a sense of purpose is an important factor in choosing their career, it’s time to break down the facts. Your company’s mission statement is a factor here – it should be clear, concise and be an accurate reflection of what you stand for. But is your company living your mission? 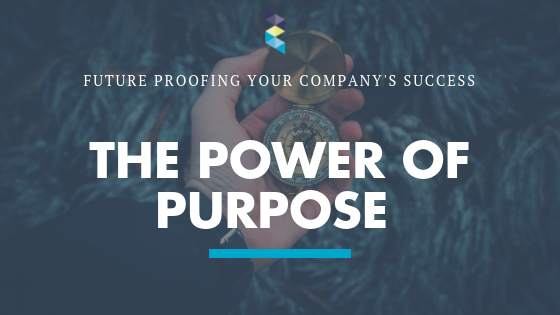 In a recent study, PwC found that 79% of business leaders believe that purpose is central to success, but 68% of those studied also said that their purpose is not used as a guidepost in their company decision making processes. A strong purpose that attracts new and engaged talent to your company is not simply a set of pretty words written down, but it is act upon. Actions speak louder than words, as the adage goes. If everyone lives and breathes your purpose, it becomes much easier for your job candidates to understand and connect to it, ultimately leading to a more relatable candidate experience. Also, your candidate experience extends beyond the recruitment process, and if you aren’t living your purpose, then you run the risk of losing your hard-recruited employees. Infuse the power of purpose in your company and create a strong online candidate experience with our 11-point checklist. By 2025, roughly 75% of the workforce will be Millennials, and they are direct in demanding to work for companies with a purpose. They want to know that the company they work for is putting conscious effort into leadership and management processes, communicating their purpose, and recruiting the top talent. They want to know that the company they work for is delivering solutions to the greater good. Most importantly, they need to see you acting upon this, starting from the recruitment stage, and continuing through their career. They need to connect to and believe in your purpose. Watch this video to learn more about what Millennials really want in a job. The most successful companies are the ones being loud about their purpose, because it engages and mobilizes people. So, identifying your purpose is one thing, but activating and infusing it in all you do leads the way to business success. – Define the united principles that all (potential) employees must possess to make positive impact in your company. – Ensure your messages are clear and understood by your candidates the way you want them to. – Your website and social media channels reflect your purpose in a consistent way. Obviously, you cannot force candidates and employees to share your purpose. But, communicating loud and clearly what you stand for sets expectations straight from the start and is not misleading any (potential) employee. Having the right talent for the job builds stronger businesses, and takes them to the future, ensuring success. Need help in clarifying your company’s purpose? Contact us at Zocket, so we can steer you in the right direction towards the ultimate candidate experience.